Widespread use of concrete and cell phone radiation has affected sparrows as well as the other common flora and fauna in urban habitat and is a dire warning to humans about impending environmental hazards. 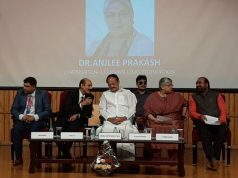 20th March is earmarked as World Sparrow Day annually, to raise awareness about the importance of sparrows in the ecosystem and to convey the message of conservation of sparrows, which are disappearing faster than other common birds. 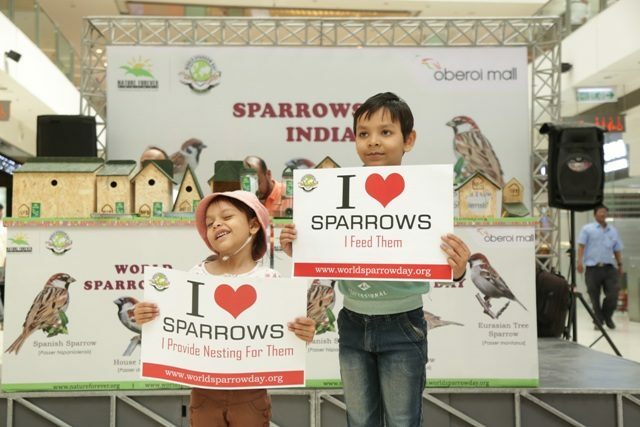 Oberoi Mall, in association with Nature Forever Society’s worldwide campaign, had a two-day event on March 15 and 16 at the mall to create awareness amongst people about the endangered sparrow species that have been dwindling fast due to rapid changes in lifestyle of humans in urban areas. There were also fun engaging activities for kids and adults in the mall, which had a message of conservation of endangered species and the need to protect them from extinction in an interactive way. 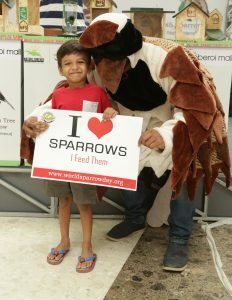 Patrons also posed against the ‘I love sparrow’ posters cheering for the cause with a sparrow mascot which further added excitement to the activities by interactive information session about the different species of sparrows and by taking photos with placards. 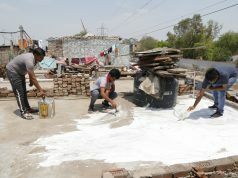 The activity was designed to make people understand the threats sparrow’s face and prevention measures that can be taken to protect sparrows from extinction.